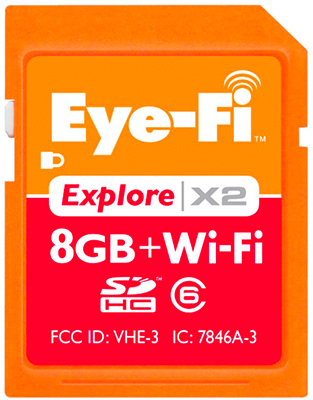 You can upload photo files directly from your camera to your PC or Mac with the Wi-Fi enabled SD Cards from Eye-Fi. This is only good for cameras natively running on SD cards, no SD to CF card adapters permitted, alas. Compatible cameras with SD for Wi-Fi link. Amazon’s prices on these Eye-Fi Wi-Fi SD cards link. We haven’t used one of these cards, so let us know of your or others’ experiences.